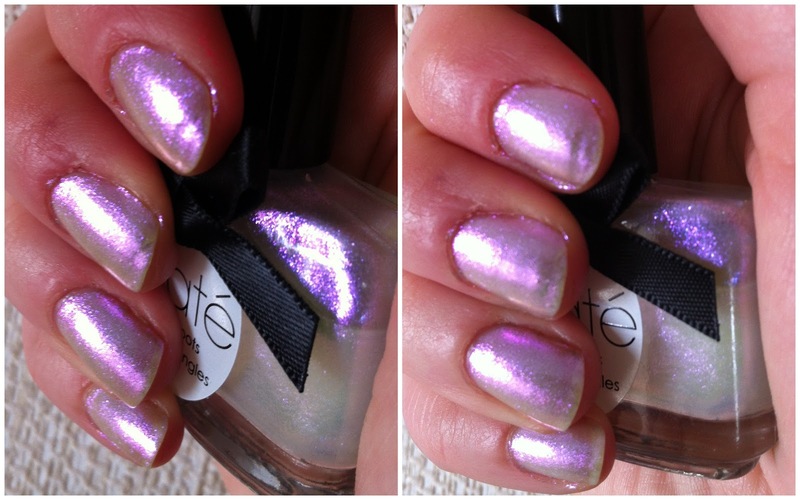 So yesterday I showed you Oil Slick from Ciate and today we're going to discuss the shade Halo. Voila. It looks like a regular pearly white polish, non? Well, I was trying to take the photo and looking at this bottle in real life and looking at what my camera was picking up were two completely different things. I was looking at the screen on my camera going "Why isn't it showing up properly?!" This is the closest picture to real life that I could get on my good camera. When in reality it looks like this.... Thank you iPhone!! 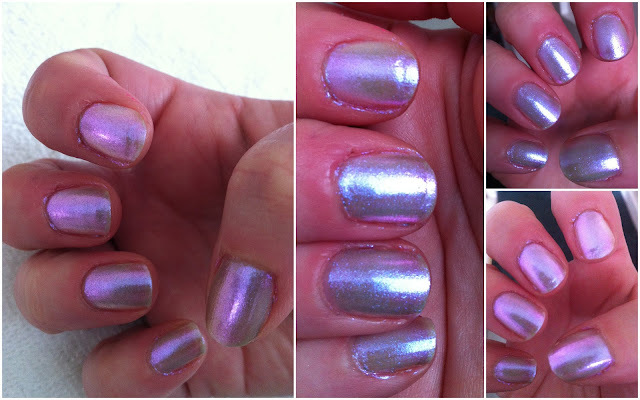 Halo is a holographic polish that I believe is meant to be used as a topcoat but I went and slapped three coats of this on my nails and then sat for the night admiring them in the different light. There's pink in it, purple in it and even blue and it is simply mesmerising. I just kept taking photos of it in different light to show you what it was like. 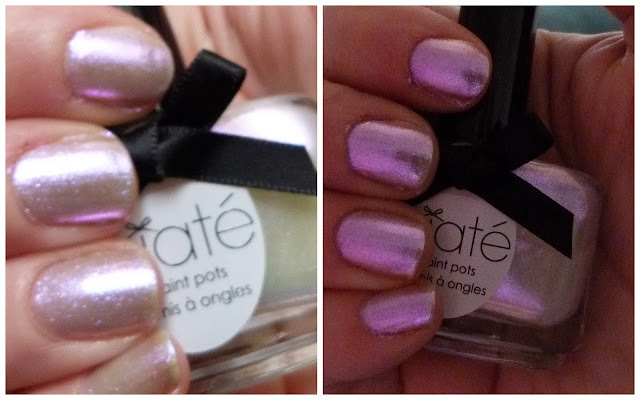 I've no doubt I'll be having the craic applying this over different polishes but for now, I'm happy to enjoy it solo. I'll just let the pictures speak for themselves. 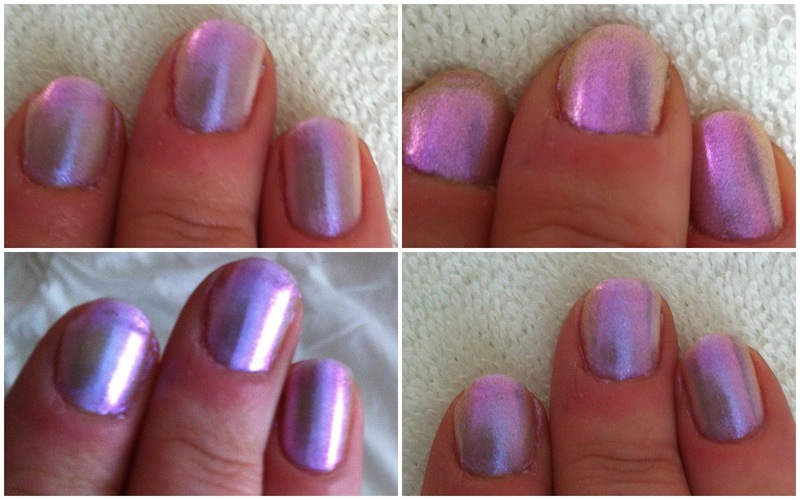 They'll do this polish more justice than I'll be able to! You can find Ciate polishes in Sam McCauleys and McCabes chemists nationwide for €10.50. very fancy, i love it! Do you have to use an UV lamp? But, Hey you only live once. Can't wait until it gets here.